Following the successful unveiling of two new Spa Houses and Wellness Immersions earlier this year, Amanoi has announced a roster of visiting wellness experts taking up residency at the resort during the coming months, bringing additional expertise and therapy options to compliment and support the Immersion programmes. 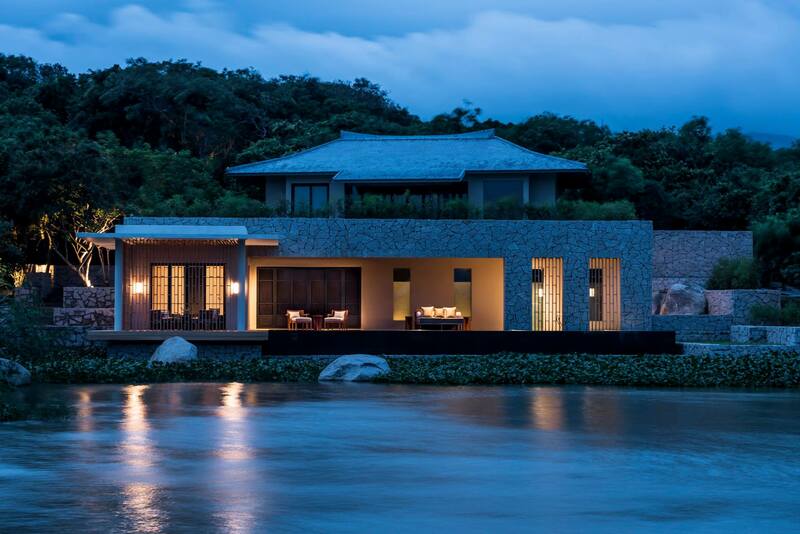 Sharing knowledge and offering treatments across the wellness spectrum, these experts will make Amanoi, which is the only resort located within the 24,000 hectares Nui Chua National Park, a true self-contained oasis and sanctuary for holistic restoration and wellbeing, further building on the brand’s launch of Aman Wellness in 2016. The verdant hills of Nui Chua National Park and pristine white beaches provide guests with the most soothing backdrop for these wellness experiences and numerous locations perfect for mediation, reflection and private movement classes. Amanoi’s visiting specialists will work with guests either within the resort’s recently launched Spa Houses or at the lakeside Aman Spa. Consultations, which will incorporate energy work treatments including craniosacral therapy, Reiki and Deeksha, as well as Integrative Touch, Mind Transformation and Shinkiko, can also be taken in the privacy of Guest Pavilions, Villas and Residences. Zoe Nash: A fully certified practitioner of Traditional Chinese Medicine (TCM) and an experienced Myo-Fascial Release yoga specialist with more than a decade of experience, Zoe offers sessions that approach health holistically, also incorporating Qi Gong and meditation. Her gentle manner and intuitive nature ensure healing and relaxation in equal measure. Tim Stoneman: A hypnotherapist and energy healer originally from the UK, Tim uses a simple yet deeply profound guided meditation technique that works with the subconscious mind to release emotional attachments and heal the wounds that relationships with others can sometimes cause. Carly Keelan: Born and raised in upstate New York, Carly was a professional ballet dancer before qualifying as a Pilates and Gyrotonic instructor. She has extensive experience in treating injuries and special conditions, and regularly works with professional athletes and dancers. Taking every client’s individual needs into account, she offers personalised programmes that challenge, strengthen and heal. Alexander Ivanov: A wellness practitioner dedicated to creating authentic experiences and developing environments that encourage holistic wellbeing, Alexander is an affiliated Thai Massage and Reflexology teacher with TMC Massage School, Chiang Mai. Drawing on his extensive training in Thailand, the Maldives, Laos, Cambodia, Indonesia and Bhutan, he incorporates a broad range of healing therapies into his treatments. Toby Maguire: A leading expert in life coaching and stress management, Toby has nearly 20 years’ experience in mind and body holistic medicine. Toby has trained and worked worldwide, gaining a loyal client base along the way. His specialties include massage, acupuncture, hypnotherapy and life coaching. Toby is available for private consultations and personalised treatment combinations. Robert Hyrsky: With over 20 years of experience including seven as Amanpuri’s Head Therapist and Trainer, Robert has developed a multifaceted approach to health and wellbeing. His wide range of expertise along with his caring, healing presence have given him a loyal international following both for individual sessions and as a teacher in the healing field. His specialties include therapeutic massage, detox massage, Craniosacral Therapy, Reconnective Healing and The Reconnection. Sascha Wagener: Founder of the martial arts health center ‘Mein Temple’ in Dortmund, Germany, and a founding member of the international ‘Missing Link’ martial arts community, Sascha began his martial arts training as a child. As an adult he has travelled extensively through Asia to deepen his knowledge and perspective, training in remote monasteries and temples. Sascha will be offering both group and individual tutorials and classes in martial arts, perfect for those who want to incorporate more of a physical aspect into their wellness regime. 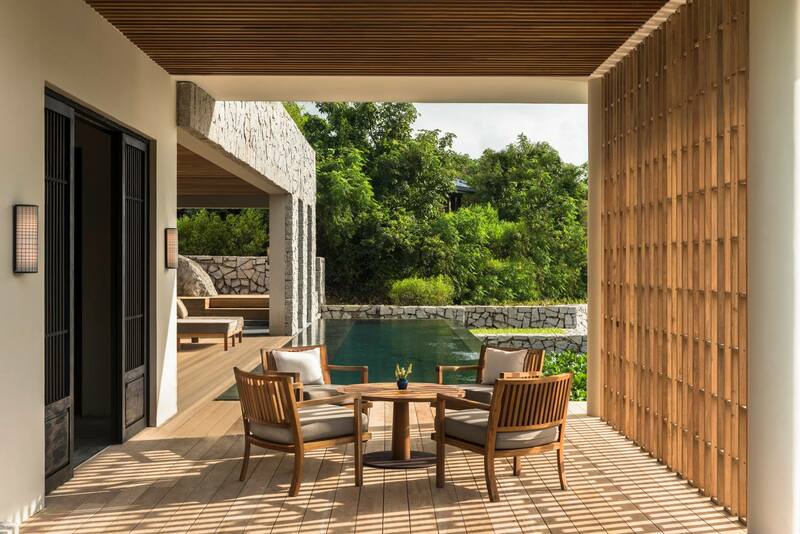 Ensconced by Nui Chua National Park on the shores of Vinh Hy Bay, Amanoi embraces the Aman philosophy: peace, privacy and a sense of place, with a natural ambience that sets the scene for wellness retreats. Specifically designed for those wanting to truly immerse themselves in a wellness experience, Amanoi’s Spa Houses each provide comprehensive private spa facilities and the services of two specialist spa therapists dedicated to the needs of Spa House guests. The first of their kind in Asia, Thuy Lien Spa House and An Son Spa House each encompass a spacious double treatment room, a Jacuzzi, a steam room with an ice-fountain, and a cold plunge pool. The outdoor infinity pool is perched on a relaxation deck with views of the lake (Thuy Lien) or the rolling hills of the National Park (An Son). It is the thermal facilities however that really distinguish the two. Thuy Lien Spa House features a Turkish-inspired, marble-clad hammam at the core of its facilities, complemented by a traditional Turkish bath and steam room with a marble table on which massages, scrubs and other treatments can be enjoyed. An Son Spa House, by contrast, provides a Russian-inspired wooden clad banya, designed for the experience of wet or dry heat sessions, combining heat and steam to encourage perspiration. In addition to the wellness amenities, the Spa Houses can accommodate between two and four guests in the pavilions’ beautifully appointed bedroom and living areas, providing the option of residing overnight for a fully immersive experience. An extensive spa menu offers treatments in three categories: Bodywork, Massage and Energy Work. Bodywork treatments are instructor-led and include a range of yoga and Pilates sessions, Tai Chi, Qi Gong, pranayama breathing, meditation and personal fitness classes. Amanoi’s comprehensive menu of specialised massage treatments are complemented by Watsu therapy, kinesiology, reflexology, Shiatsu, Chi Nei Tsang, lymphatic drainage, rolfing, myofascial release, neuromuscular therapy and more. As well as handpicking treatments from the extensive spa menus, guests also have the option to take part in Amanoi’s Individual Wellness Immersions which offer a deeper spa journey with focused goals and results. The personalised three to ten day immersions are designed to promote profound change, gently steering guests onto a new holistic path. Whether seeking to shift unwanted weight, attain renewed awareness or kick start a health plan for the future, Amanoi’s Immersion experiences – Eastern Approaches to Weight Loss; Movement, Mindfulness & Stress Control; and Longevity, Rejuvenation & Detoxification – ensure palpable results and a deep sense of contentment. Whether residing in one of the Spa Houses, Amanoi’s five exclusive Residences, the resort’s 16 Villas or the 12 free-standing Guest Pavilions with panoramic views of the East Sea or National Park, every Amanoi guest can enjoy access to the 20,000 square-foot Aman Spa, itself a retreat within a retreat. One of the most comprehensive and innovative wellness facilities in Vietnam, the spa rests on the shores of a lotus-covered lake with terraced lawns leading to a lake-side yoga pavilion, five treatment rooms, hydrotherapy suites, a Pilates studio, a gym and several outdoor relaxation areas. Following treatments, guests can relax and let the effects of their treatment soak in at the resort’s Beach Club, with its 130-foot saltwater infinity pool and stretch of powdery white sand beach flanked by million year old rock formations.